Home Columnists Ulrica Marshall The End of the Mediterranean as we know it? The End of the Mediterranean as we know it? DO you enjoy gazing out over the turquoise sea while enjoying a copa de vino with friends? Perhaps the odd dip into the clean refreshing waters in summer time? Well, enjoy it while it lasts because it could all be about to change. The Spanish government has granted Cairn Energy plc permission to begin oil exploration right here on our doorstep, so to speak. Initial plans centre on an area between Valencia and the Balearic Island of Ibiza. Scant regard was given to the fact that although the Mediterranean sea makes up 1 per cent of the world’s ocean surface, it is home to more than 18 per cent of the world’s marine species, an ecosystem highly affected by the proposal, according to environmental group Oceana. And even if the thought of killing a few (million) fishes and crustaceans is not enough to make you sleep uncomfortably at night, perhaps the prospect of potential oil spills will. In 2010 the Deepwater Horizon oil rig disaster in the Gulf of Mexico affected nearly 80,000 square miles – if something similar were to happen to here, it would wipe out much of the Mediterranean Sea as we know. Helpfully – from Cairn’s perspective – the current Spanish government led by Prime Minister Mariano Rajoy fast-tracked environmental policy for speedy approval of such proposals, which could previously be contested and fully analyzed without a time limit. Presumably Mr Rajoy plans to take his seaside holidays in other locations in the future or he enjoys a fine oil slick with his morning swim. If you prefer the Mediterranean as it is there is still time (albeit only few days by the time this edition goes to press) to make your voice heard. Environmental support groups are lobbying to review the decision in parliament, but need a minimum of 30,000 signed petitions (sent in triplicate) by 10 February this year to do so. what a hypocritical article, probably written by someone who uses gas heating & petrol or diesel car(s), food flown in fom other continents etc etc. Where do you think the fuel comes from? or probably don’t think at all…. of course there are environmemntal concerns, Macondo was a wake-up call (for the USA, in Europe we are more advanced in safety techniques) but to transition from Oil & Gas will take time, and innovation ie engineering – not this amateur reporting. just because the journalist is writing about the danger at our doorstep, you call it amateur reporting? The world is changing, more people and companies are working on sustainable energy sources and technologies and some stupid Spanish politicians are allowing a corporation to dig oil in the Mediterranean!!! We don’t want that. We don’t want our nature to be in danger. We want modern solutions for renewable energy. While I don’t want to see them drilling for oil at our backdoor so to speak, you would do well to know that there are already i believe upto 20 rigs and platforms operating in the Med for quite a while now. Not to mention the fact that is is already one of the most polluted seas in the whole world. 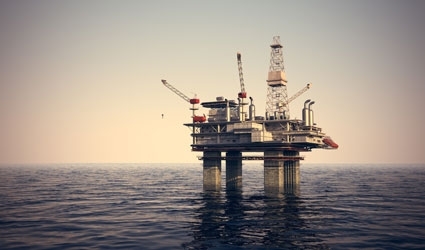 While I believe it is good to spread the word about this, we should also consider WHY they are expanding drilling operations in the Med, and of course worldwide, DEMAND. We need to overcome OUR addiction to oil, until then this is just going to be the sad reality, they drill wherever there is oil to be found irrespective of whether its in the Alaskan Wilderness or the heavily populated and polluted Med coast, its big business and WE are the ones who fund it. A far more positive move would be to work on changing OUR habits not waste time protesting companies for supplying demand, that is just hypocritical. Lastly, I agree with Colin, it would be good to see a well written, thought out article with some innovative and thought provoking ideas rather than just trash talking for a few hundred words, thats not going to get you anywhere and this article only serves to make the author seem ignorant and insults the readers intelligence, in my opinion.